Background/Info: Belgian electro-pop duo Metroland are striking back revealing their 4th full length album to the world. This work also is a new conceptual release on, which they got inspired by photography (which is a noticeable element in the symbolic feature on the front cover). Metroland transposed pictures from five Belgian professional photographers into music resulting in 10 songs plus an extra cut for the digital format. 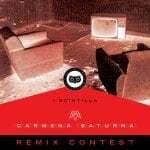 Content: I like to define the Metroland-sound as ‘kraftwerk-pop’, because the main source of inspiration of the duo is the particular and sophisticated electro-pop from the Dusseldorf-pioneer. But “Men In a Frame” also is the less Kraftwerk-like opus so far. Metroland remains faithful to their familiar sound ingredients, but the work became more experimental and even a bit soundtrack-minded. But I also get the impression they boosted most of the kicks running through the work while the dry bass lines are somewhat EBM-like. The traditional computer/robotic vocal parts are still there, but maybe less present compared to previous releases. + + + : Metroland doesn’t repeat itself and that’s an aspect I especially appreciate. 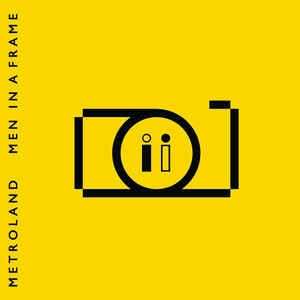 It would be so easy and cheap to emulate previous successful albums, but Metroland sounds like they are in search of new challenges with each of their creations. This is probably their most experimental and still most sophisticated work to date. The songs are less catchy, but more intelligent revealing a band that progressively comes away from the Kraftwerk influence to create a proper sound. I like the harder kicks running through the songs and dry, hard bass lines. I still like the concept, which is mixing different forms of arts: music and photography. The booklet is an essential tool to discover the pictures that inspired the songs. – – – : Speaking for myself, “Men In A Frame” is not my favorite Metroland album. It rather sounds as a soundtrack experiment or just a path towards that music genre. This is not the album, which will deliver the biggest hits of the band. Notice by the way this album is not featuring the great title-track from the single “Man In A Frame”. Conclusion: Metroland invites their passengers to embark for an experimental travel through complex sonic fields. Even if I’m not sure if it will become the favorite trip of their fans it however illustrates the growing complexity in songwriting. Best songs: “Creative Rose”, “Concrete Witness”, “Shades Of Pale”, “Next Choice”.